It’s always a good idea to backup your work to provide you a way to recovery if things go wrong with your environment. 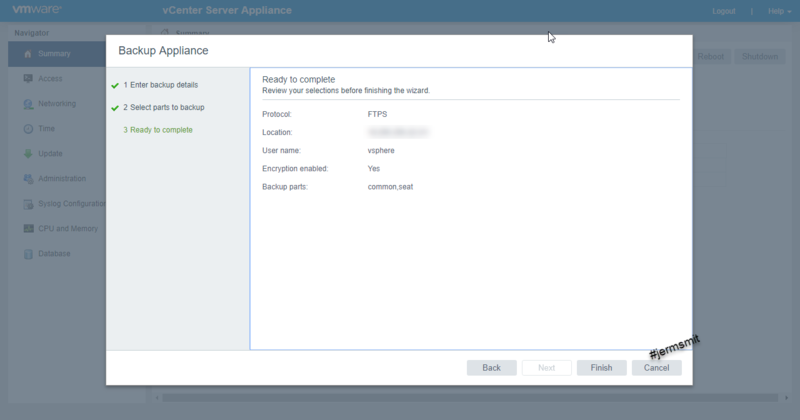 Running an home lab I have cause my own share of issues many of times which had forced me to reinstall and configure my vCenter environment. 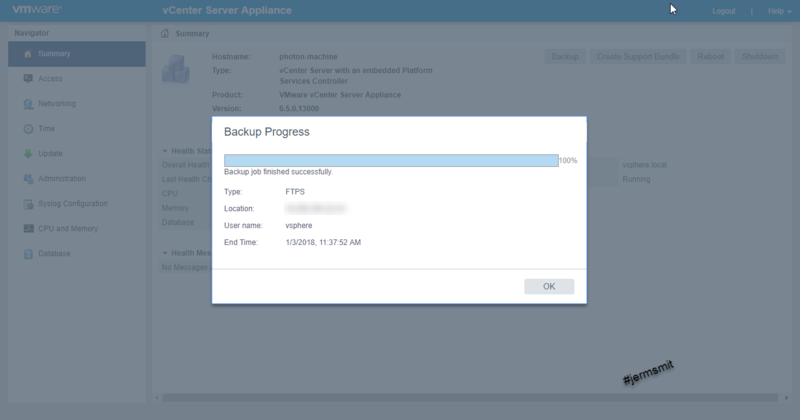 Moving forward I will be taking advantage of the backup features included with the vCSA. 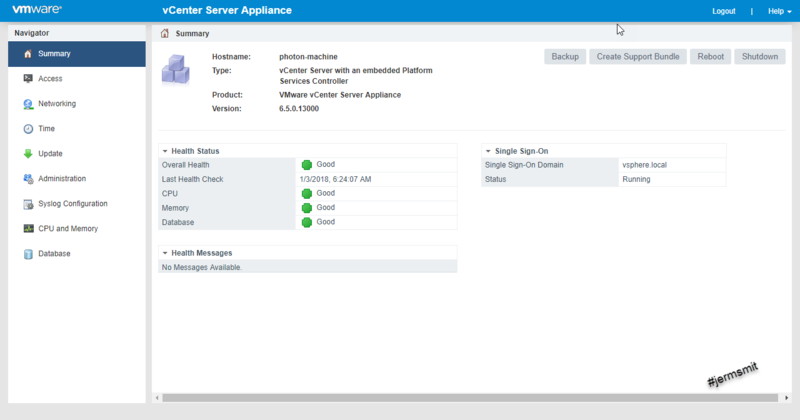 Using The vCenter Server Appliance Management Interface (VAMI) an administrator uses the HTML5 web interface to perform administrative tasks to the appliance configuration. These tasks included changing the host name, the network configuration, NTP configuration, applying patches / updates and performing backups. 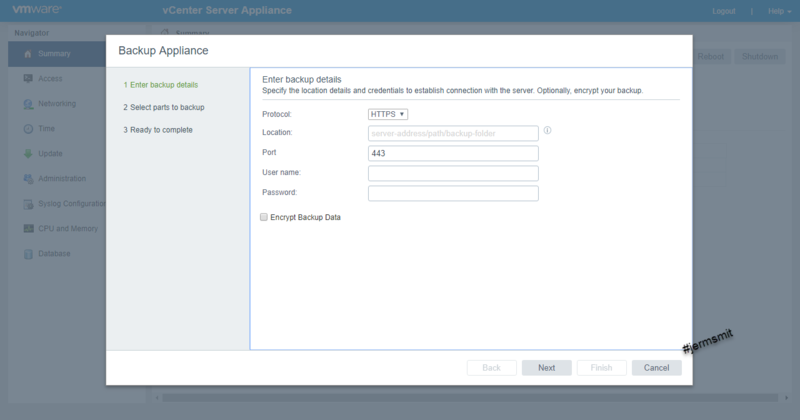 Once logged into the VAMI, under the Summary tab, Click on “Backup” to start the backup of the vCenter Sever appliance. 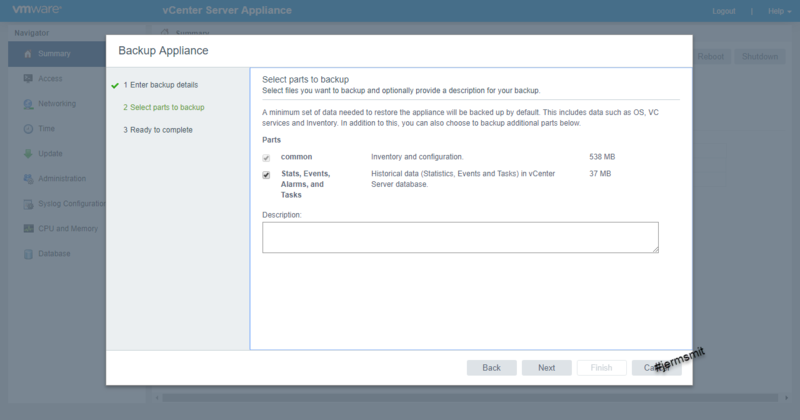 There are options allowing you to perform a backup using different protocols and location settings. These include the following: FTP, FTPS, HTTP, HTTPS, SCP. Next specify the protocol of choice and then the credentials for accessing the remote location where the backup will be stored. As an added option, you can encrypt the backup data before transferring. 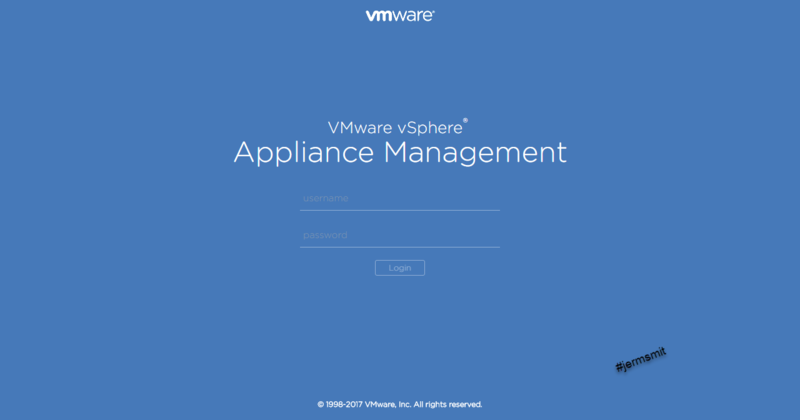 A minimum set of data needed to restore the appliance will be backed up by default. This includes the data such as OS, VC services, vCenter Server database, inventory and configuration. Historical data such as tasks, events, and alarms. Depending on the data size of the vCenter server appliance, backups will take a few minutes to complete. “You’ve been very helpful! ” Never knowing this to exist.